How to get customers to stay loyal? To win the game of hearts and minds? Meet them on their own turf — on the devices they want to use and through the programs they’ll want to embrace. Easier said than done, but as Bridge2 Solutions’ CCO Larry Wine tells PYMNTS, there’s life beyond the obsolete warehouse as well as the prevailing online rewards catalogues and closed loop Pay with Points models. Point ubiquity is the name of the (customer engagement) game. A lot of Starbucks coffee, Big Macs and fries or B.GOOD açaí berry smoothies can be bought with $160 billion. But, $160 billion can also go nowhere fast — including into a void, never to be spent, never to be put to work in commerce to boost consumers and businesses alike. That’s what happens when $160 billion is cloaked in rewards points, illiquidity, opaque rules and regulations and blackout periods. Consumers miss out on those coffees, electronics and apparel purchases and, well, a lot of other things, and firms miss out on cementing relationships with their installed base and bringing new customers into the fold. We’ll get right to the point: People do not use all their accrued loyalty rewards points — not by a long shot. That’s where the aforementioned $160 billion resides, and quite possibly dies. Statistics show as many as one-third of rewards currencies (points and miles) do not get cashed in for rewards. The reasons are varied. Maybe people want to wait until they accumulate enough to cover something special, like a vacation. Maybe they just forget about the points, or maybe the process is an onerous one. Consider the fact that the cash back process requires logging into websites for redemption, finding the credit on a statement or waiting for a paper check or gift card to be mailed. Sometimes the points can only be redeemed at a certain merchant. The result is a logjam of currency, one that is locked up, friction-filled and likely frustrating for consumers. The idea of currency is one where flexibility should be in place — fungible and used anywhere at any time. What would happen if points could be used like any other currency, instantly redeemable at any merchant? Merchants want more traffic, buying in the aisles and in the app. Engaging customers gives rise to loyalty programs, but the loyalty is oftentimes elusive. In an interview with PYMNTS, Bridge2 Solutions CCO Larry Wine weighed in on the ways loyalty programs — those tied to the points-for-purchase model — must, and can, evolve to capture the hearts, minds and spend of consumers. After all, the consumer must “go on the hunt” to find those credits and cash to ascertain they have been used, Wine explained. Speaking of rewards programs writ large, he also noted scaling rewards utility can be difficult, especially when it comes to bringing them to thousands or tens of thousands of merchants, particularly those who have, heretofore, had to modify their point-of-sale (POS) software when integrating new rewards offers with card programs. At the highest level, consumers want ubiquity and universality, with the ability and flexibility to transact with any merchant and across all manner of conduits, he explained — from mobile devices or in-app via eCommerce channels. “You then look at the [rewards program] through the lens of the sponsor,” he said, ranging from FinTechs to traditional financial institutions to travel and hospitality providers. “They want their points to be ubiquitous,” and they want to have an engaging experience in place for the consumer. As for merchants, “they have enough challenges in their day-to-day businesses. The last thing that they want to have to deal with is elongated integrations and modifications” at the point of sale or online, according to Wine. 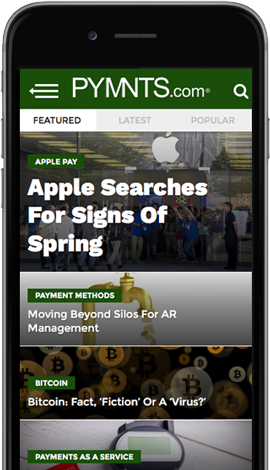 As mobile commerce has grown, consumers want more functionality from their wallets, “and the first thing they want is … to use their loyalty points … to get to their currency, unlock that currency and utilize it where, when and how they want,” he said. Merchants benefit, too, from the knowledge of when consumers are in or near brick-and-mortar locations, providing an opportunity to message them via email or beacon about special, tailored promotions, he said. Thus, there’s an opportunity to upsell, cross-sell and get more traffic on-site that brings the consumer to the point of sale. The boosted comfort level from access to multiple ways to redeem rewards points will likely spur more frequent redemptions by consumers, Wine told PYMNTS, with smaller ticket items on the agenda as well — from clothes to coffee to birthday presents bought at the last minute. That increased frequency of redeeming is the reason behind all these points, since frequency of use drives customer engagement and loyalty. Bridge2 Solutions’ own Loyalty Pay™ platform, which debuted last month — with large clients being sequenced to move into pilot programs and fully launch through 2018 — seeks to foster points ubiquity that benefits all stakeholders, including consumers, merchants, sponsors and their digital wallets. Loyalty Pay™ allows for rewards currencies to be used at retail POS and in-app via digital wallets. In this case, software development kits (SDKs) are deployed and transactions are completed with single-use tokens. The solution, Wine said, requires no reconfiguration of technology or educational outreach in how to deploy the solution. In terms of the mechanics of the program, users select the sponsor’s rewards account through, say, Apple Pay, where they can view rewards points and currency balance. They can then use that balance to pay at the POS. The executive also noted cross-payment functionalities are available, and purchases can be done in tandem with debit or credit cards.